We're so excited to share our new video with you! Please watch and see how a cute little puppy grows up to change someone's life! But we're excited for more than just our video. Today, we launched our CrowdRise campaign to help raise funds for a new training complex so we can continue to train high quality assistance dogs. We need your help to make it a success! Visit our CrowdRise campaign, donate, and share! 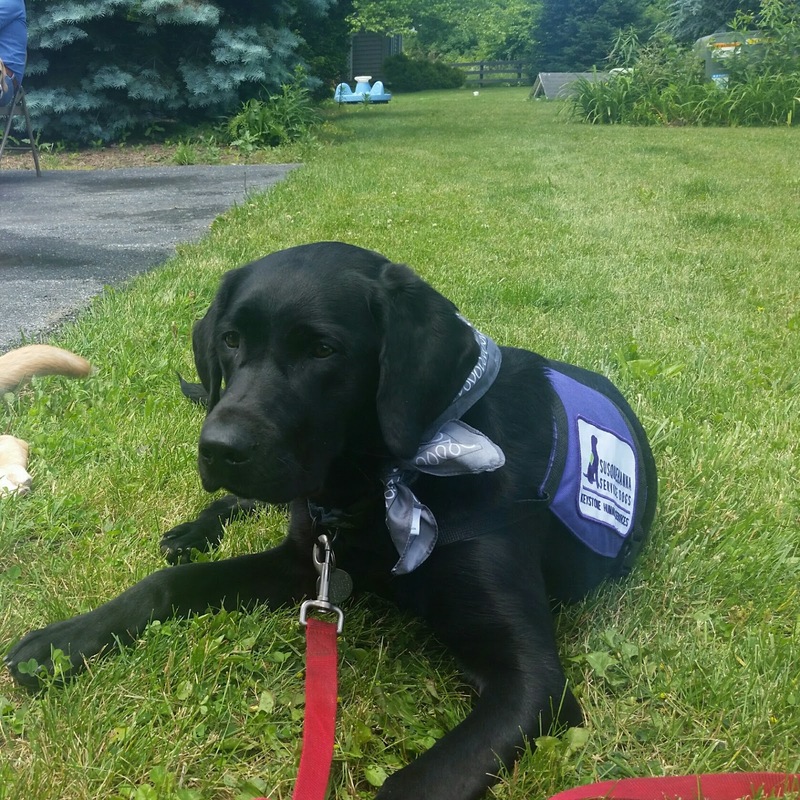 As Kira says in the video, assistance dogs are "living proof that a life has been changed." This puppy has BIG plans! This little puppy has BIG plans! We’re unveiling something big next week, and we’re going to need your help to make it a success. We’re as excited about it as this puppy running down the hill! Get ready for the big reveal on April 8 because #DogsChangeLives! We see how dogs change people’s lives every day. From the moment they’re born, our puppies start changing lives. Our whelping families often tell us that even though it’s a lot of work to take care of tiny puppies for their first eight weeks, they always miss them when it’s time for the pups to move on to their raisers. 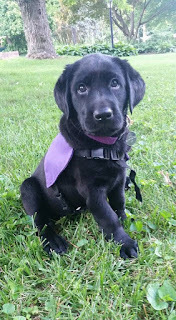 The puppies spend 15-18 months with their raisers, learning good house manners and over 20 cues, and practicing their skills in public in places like stores, sporting events, movie theaters, schools, and more. With every step of their journey, they’re making an impact. Has a dog or service dog made an impact in your life? Share your story in the comments! Bring Your Dog to PawsAbilities! Who’s coming to PawsAbilities on Saturday? 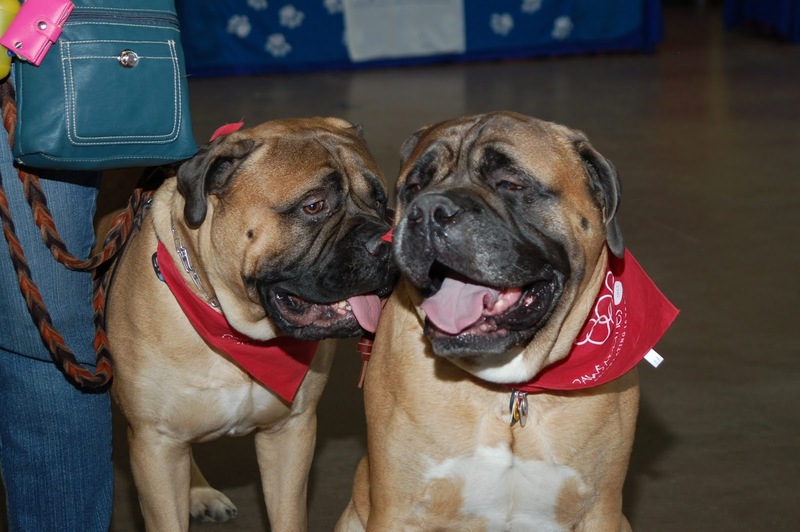 We’re holding canine festival on March 30 from 9 am to 4 pm at the Lebanon Valley Expo Center. You and your dog can shop at all the vendors, run the lure course, try your luck at Paw Draw, and of course, play your favorite Dog Olympic Games! 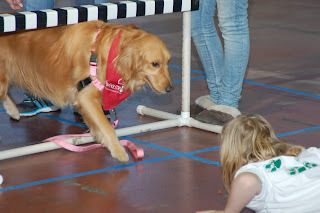 Most of our Dog Olympic Games are based on the skills we teach our service dogs. But don’t worry! All dogs are welcome and able to play these games. Some games will test your dog’s self-control, like Temptation Tower where you build a tower out of dog treats while your dog ignores it. Self-control is at the foundation of our service dog training. Our dogs have to ignore food and other enticing things in the environment. Other games will test your dog’s ability to move around in space, like the fan favorite Doggy Limbo. What does the limbo have to do with service dog training? Our dogs need to be able to go under tables and benches, and curl up in small spaces like under the seat of an airplane. They may need to crawl under a chair to retrieve an item that rolled under there. Some games will test your dog’s ability to listen to and perform cues promptly, like Musical Hoops, where your dog must sit with at least two paws in the hoop when the music ends. As working service dogs, our dogs must not only perform tasks promptly, but also enjoy their work. For example, if their partner drops something, the dog will need to pick it up every time. Other games are just for fun, like the Clean Plate Club. What dog doesn’t want to eat dog biscuits, cheese, and hot dogs? The majority of the dogs we train are labs, and they’re incredibly food motivated. (That’s why self-control is also so important!) Biscuits and cheese? Yum! Hot dogs? Delicious! How about lettuce? Lemons? 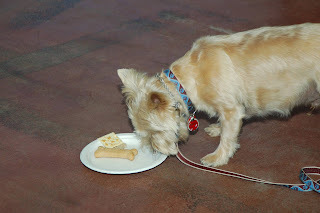 Play the game and find out what your dog will eat! We hope you and your dog will join the fun at PawsAbilities! Tickets are available online. And parking is free! You can find all the details at PawsAbilities.net. And just like that, she’s off! SSD Hermione entered advanced training, and I couldn’t be more proud of her. The journey with her has been one of the most rewarding and happy experiences for not only me, but my entire family. We made the decision as a family to raise a service dog last June and in a matter of a few weeks, we had Hermione in our home! I must say, I was very impressed with what she already knew and was accustomed to. The whelpers (the family that took care of the litter of puppies until they were eight weeks old) did an amazing job of introducing sights, sounds, textures, and experiences to these tiny pups. 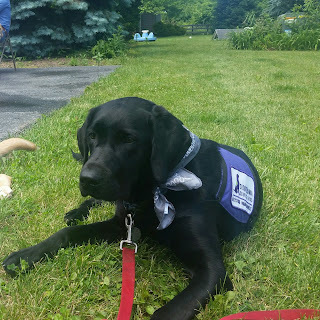 The puppy manual provided by Susquehanna Service Dogs (SSD) also helped us prepare to have her in our home and to start working with her until our training classes began. SSD’s trainers guided us through each semester of training, building on and perfecting what we learned in the previous semester. But we didn’t just spend time in the classroom. As a matter of fact, as the puppies get older, some of the classes are public outings. You can’t imagine what it looks like to see 30-60 service dogs in training at Chocolate World, or walking through the streets of Gettysburg, or even at the airport! 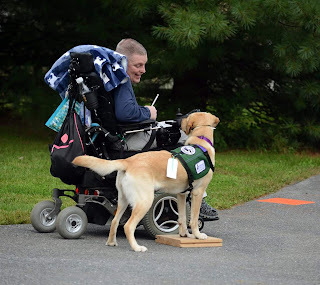 These experiences set up real life situations for the dogs to practice everything they learned in the classroom and to gain skills and experiences necessary for a good service dog. But we didn’t stop with the experiences provided by SSD. We had to get creative to think up situations and experiences for Hermione. 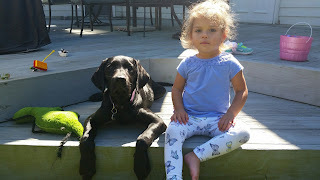 She learned how to be gentle with older humans and tiny humans. She learned to quietly lay under a table at a restaurant on Thanksgiving. She visited schools with hundreds of students who wanted to pet her. Every one of these experiences helped Hermione become the dog she is today. Each experience did not go perfectly but each was a chance for her and me to learn. As I met people throughout the year and talked with them about the great work SSD does, so many people said, “I couldn’t do that. I just couldn’t give the puppy up after raising them for over a year.” I felt from the very beginning that I would be so proud to raise a puppy that could positively impact someone’s life. My resolve was solidified when I had the opportunity to visit team training. 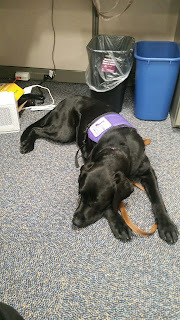 Team training is a two and a half week period where the service dogs begin to work with the person they were matched with. I sat with a young girl who was so excited to have a dog that was trained to crawl under her legs and stand up to raise her legs above her head if she fainted. To see these dogs and people bonding and working together confirmed for me that raising a service dog would be a rewarding experience. And it has been! P.S. I’m ready to raise another puppy! If you would like to become a puppy raiser like Gail, you can apply online.